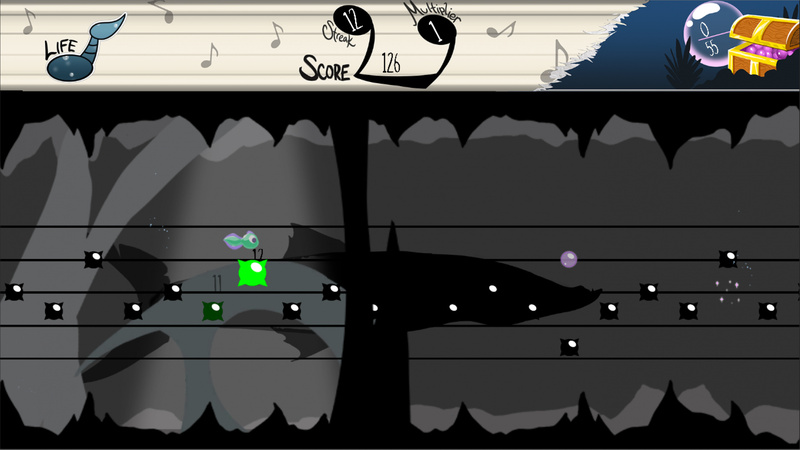 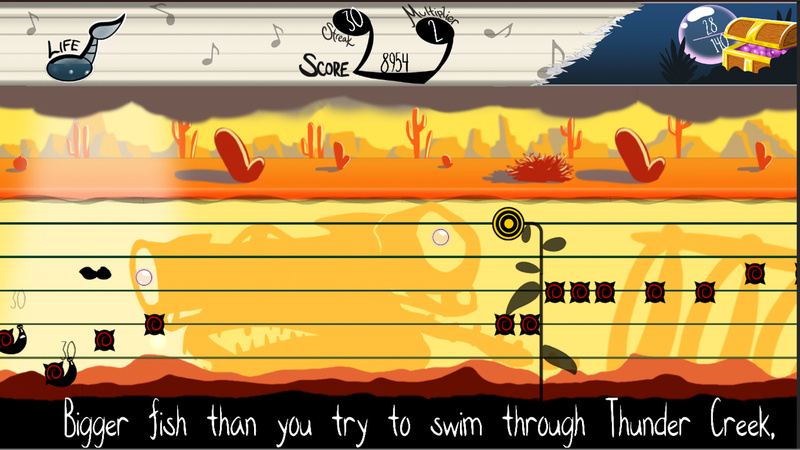 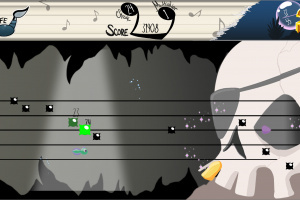 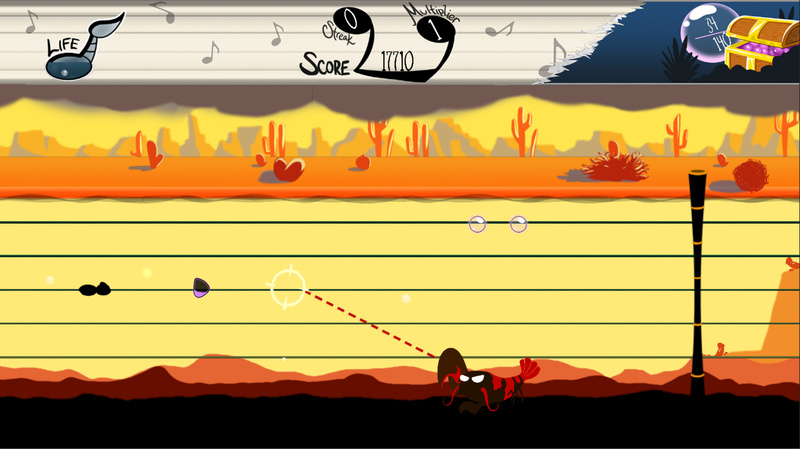 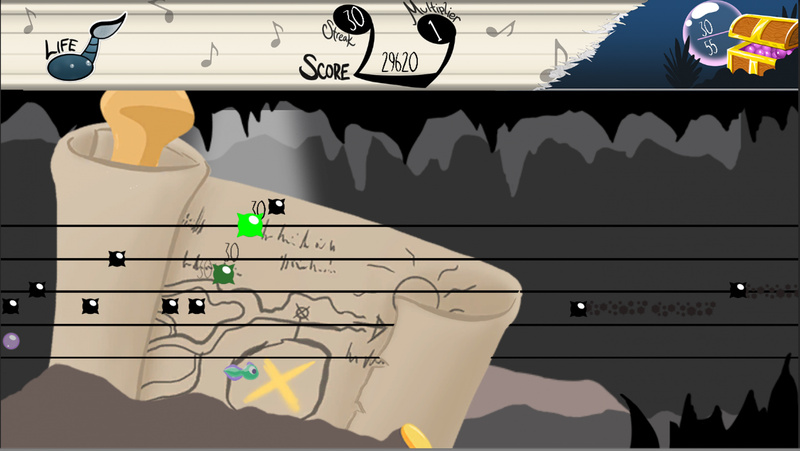 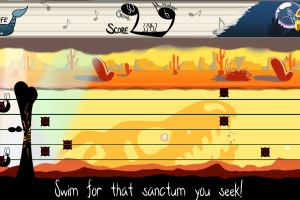 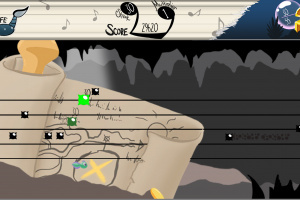 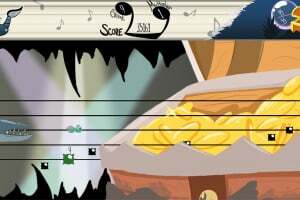 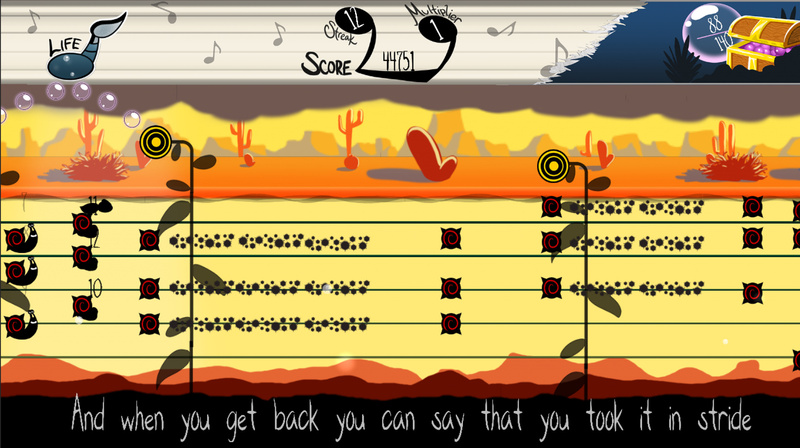 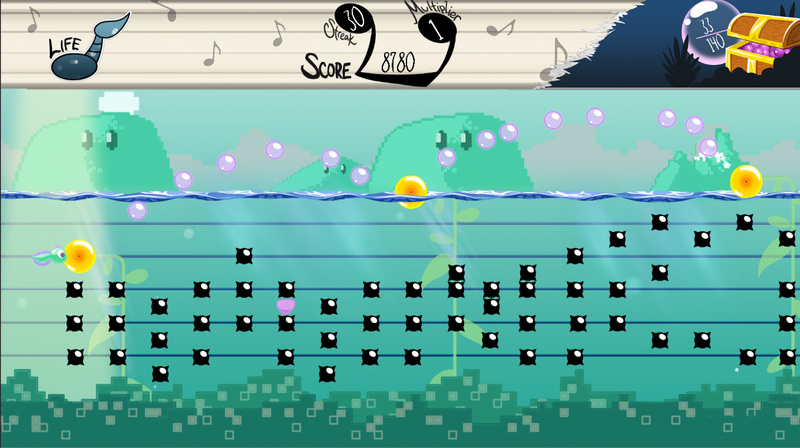 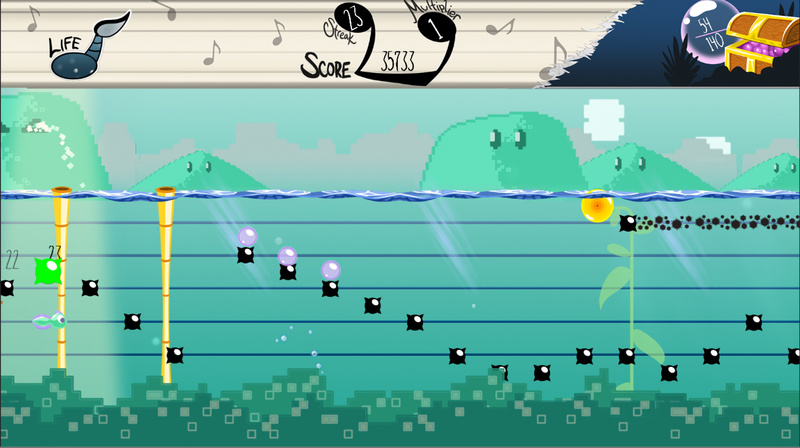 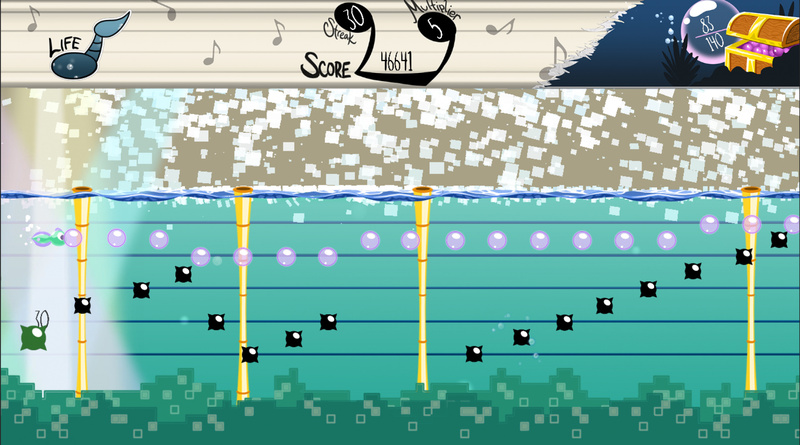 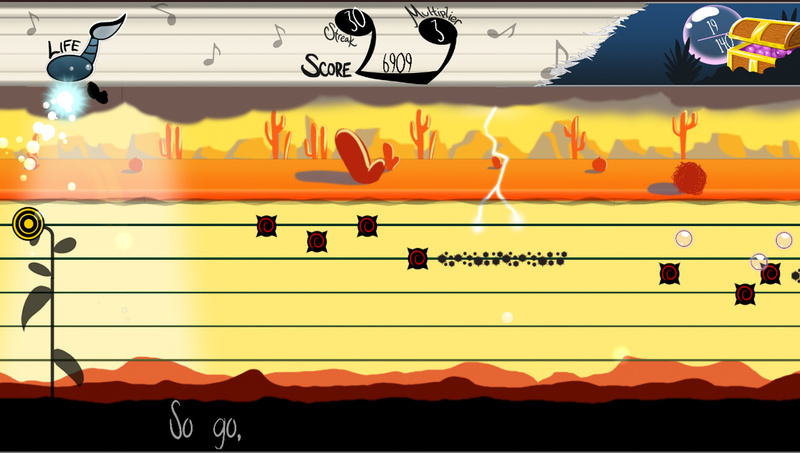 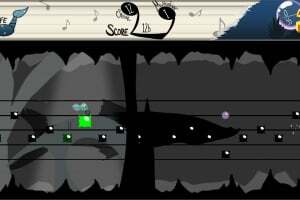 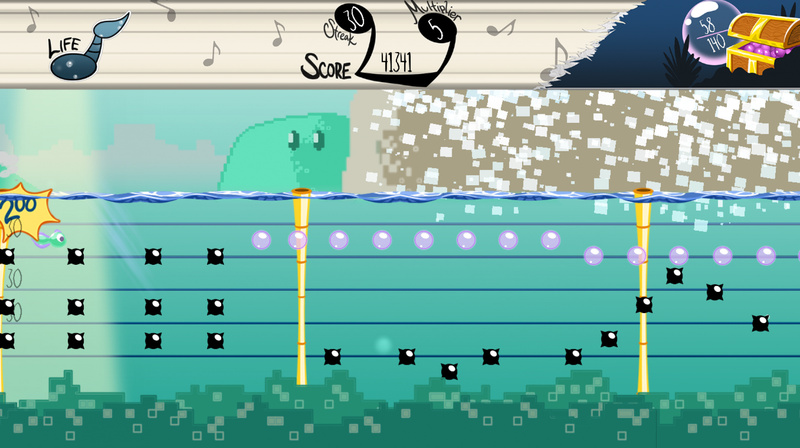 In Tadpole Treble, swim through the actual sheet music of the game's songs. 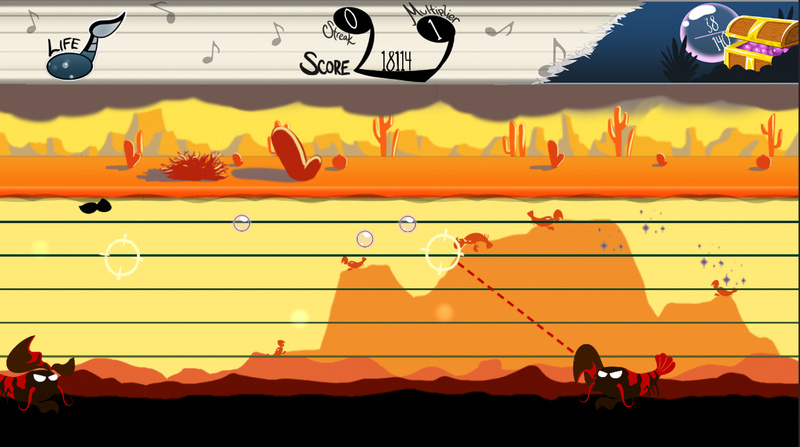 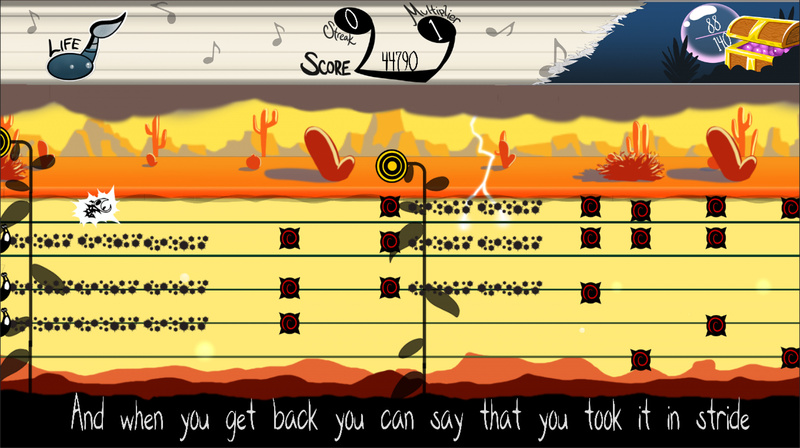 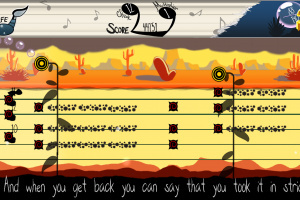 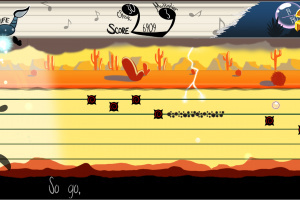 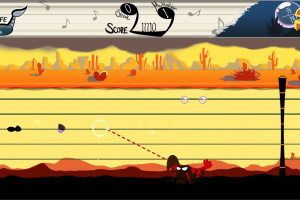 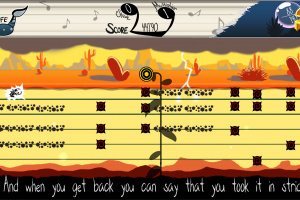 Avoid the notes, hit the beats, and guide a young tadpole through varied stages in a melodic quest to get home! 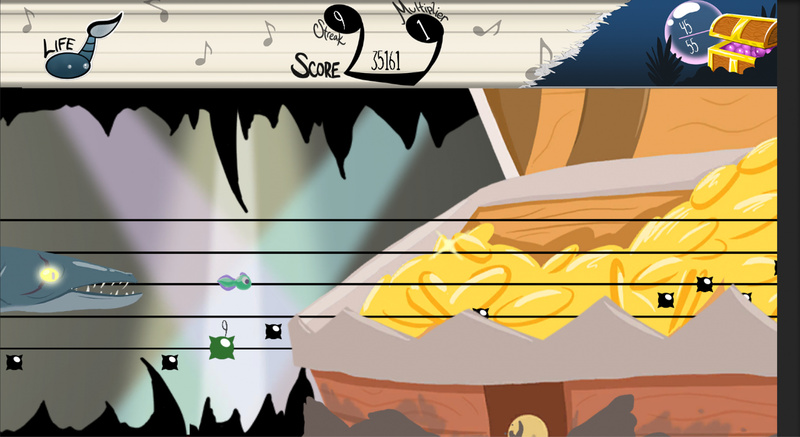 The adventure introduces a unique, appealing song for every stage, showdowns against intimidating boss creatures, rhythmic elements to master, and rewards for seasoned players. 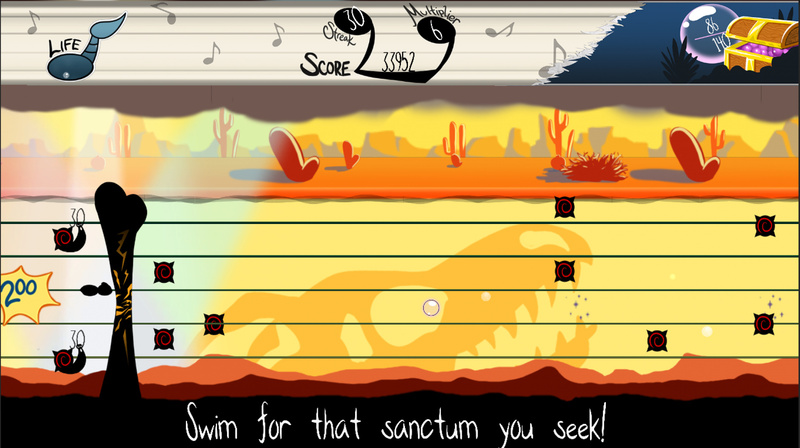 Unlock stages, a music player, a bestiary, developer commentaries and an endurance test. 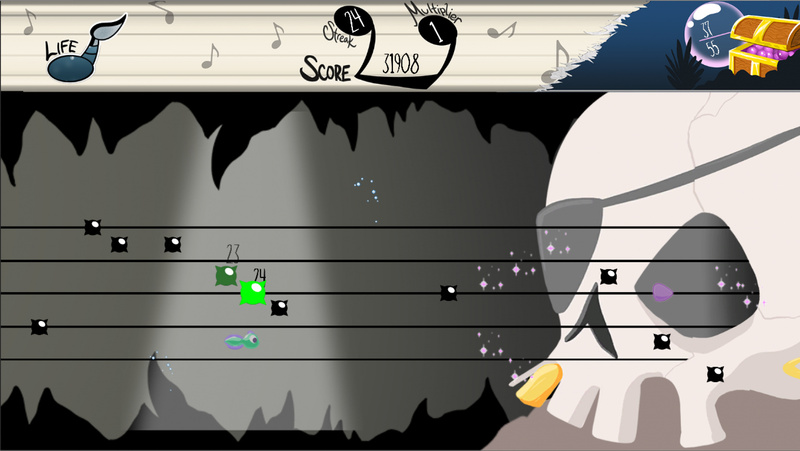 Creative players of all ages will love our Composition Mode, where you can create your own songs using dozens of different tools....and then play through your masterpiece with Baton, or share them via QR codes! 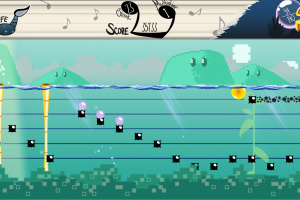 Webcomic artist Matthew Taranto, game designer Michael Taranto, and the whole team at BitFinity are happy to present Tadpole Treble--an aquatic, melodic adventure for all ages. 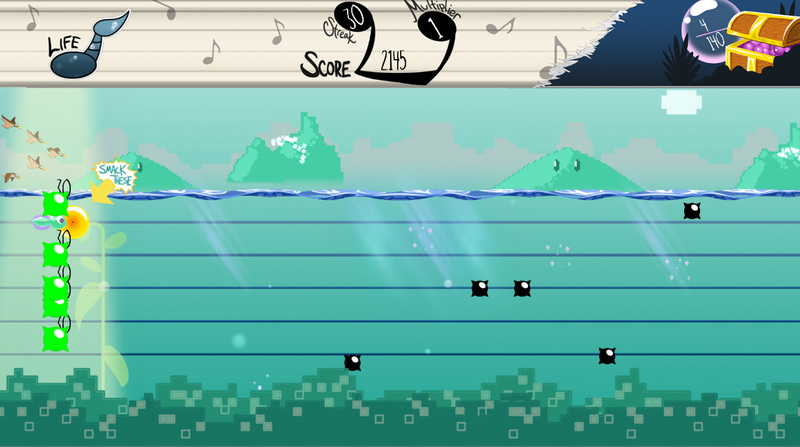 Dive on in and enjoy this musical odyssey! 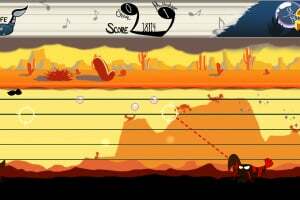 This game is being released this month, I can't wait! 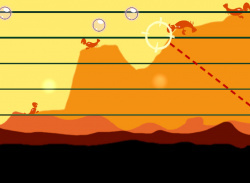 I've been watching this for quite a while. 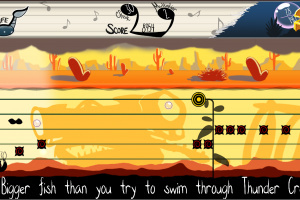 Nintendo Life... y u no review yet?